Good planning is half the battle! 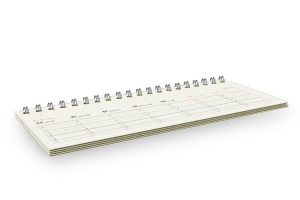 With our table calendar, you not only have a good overview at a glance, you can also get a good grasp of your to-do list. 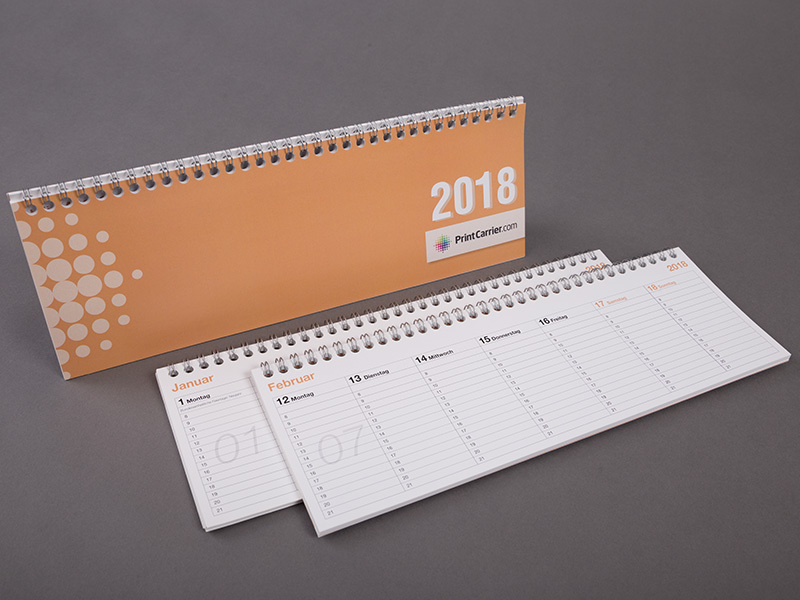 So that our table calendar only takes up minimal space on your desk and yet still comes into its own, we can also print this practical little helper in a 29.7 x 10.5 cm format. Organized, structured, everything in view - three adjectives describing wishful thinking? Not at all! Our table calendar helps you master your daily work in the office. Get an overview of upcoming dates, events, holiday times, or note down important To-Do’s. As they say: Being organized is half the life - because a good organization makes your work day much easier and you always have everything important in view. With its slim DIN A5 long format, the table calendar can be found on every desk and offers a good overview of the current week. 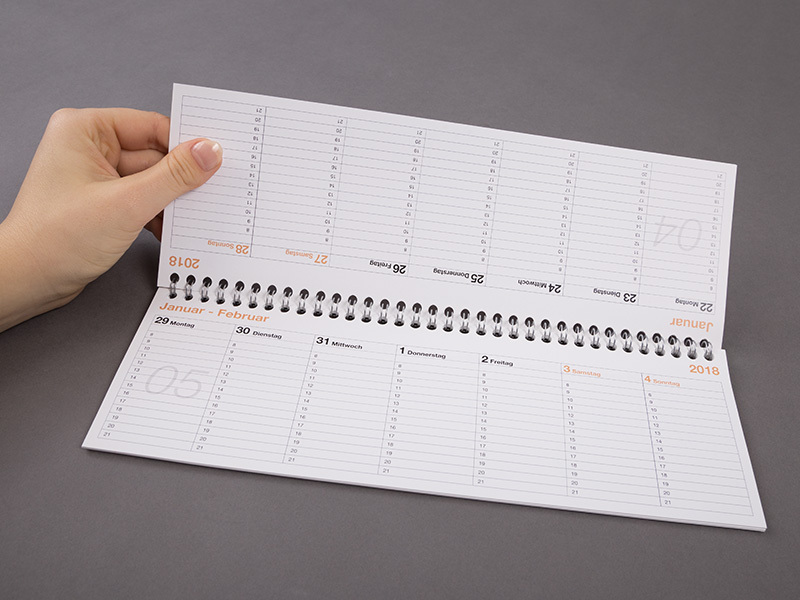 With its clear overview, it has a significant advantage over large-area desk-pads with an integrated calendar or a classic pocket calendar. A further advantage over its competitors - such as the magazine calendar or picture calendar - is the possibility to enter notes for each day and even for specific working times - the perfect scheduler for a complete weeks view! In addition, the spiral binding at the head entails simple handling. 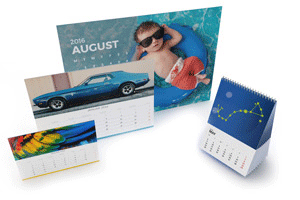 Design your personal table calendar for yourself, for your employees or send it as a popular promotional gift to customers. 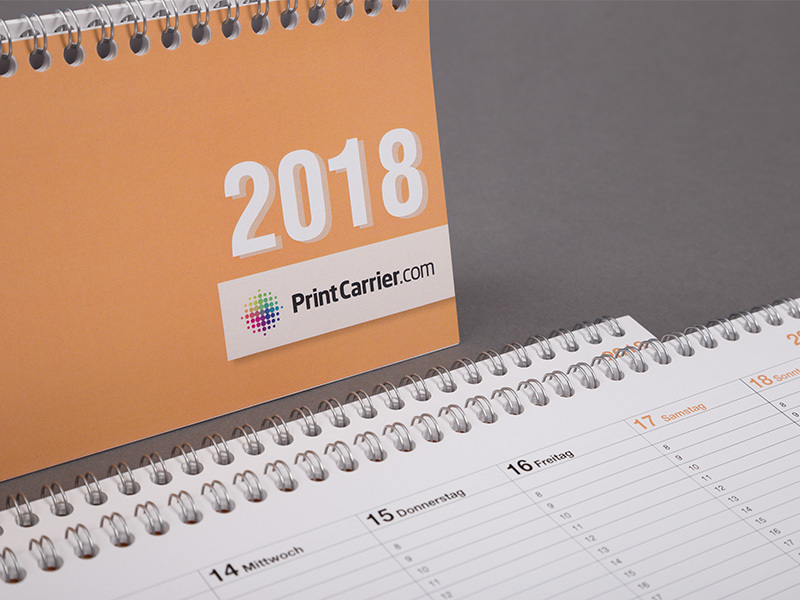 Depending on your taste, you can choose whether your table calendar should be printed on plain natural paper or choose a more elegant version with a matt surface and thicker paper. 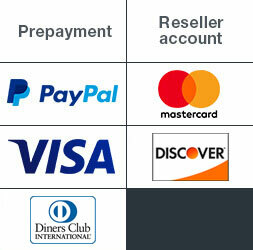 We offer two free layout templates from PrintCarrier.com - with and without holidays. 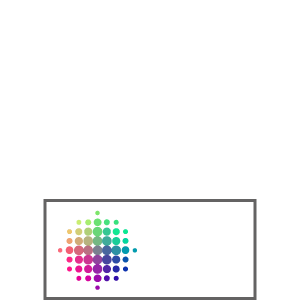 Add only your logo, slogan or other small details and your individual schedule is finished. This means you will be remembering your customers and your employees daily as well as around the clock. Now there is absolutely no reason to not order your table calendar directly, with us!